Experience the best green screen studio in Sydney Metro for your next production. Call now to make your reservation. Professional premium green screen studio available close to Sydney CBD at competitive prices. Great for corporate videos, presentations, television commercials, live shows, web content, model and product photography, music videos and many more. The studio meets the requirements for working with children. The studio comes kitted with lights pre-hung for the green cyc, plus lots of soft daylight fluros and led light to be used as key and fill lighting. 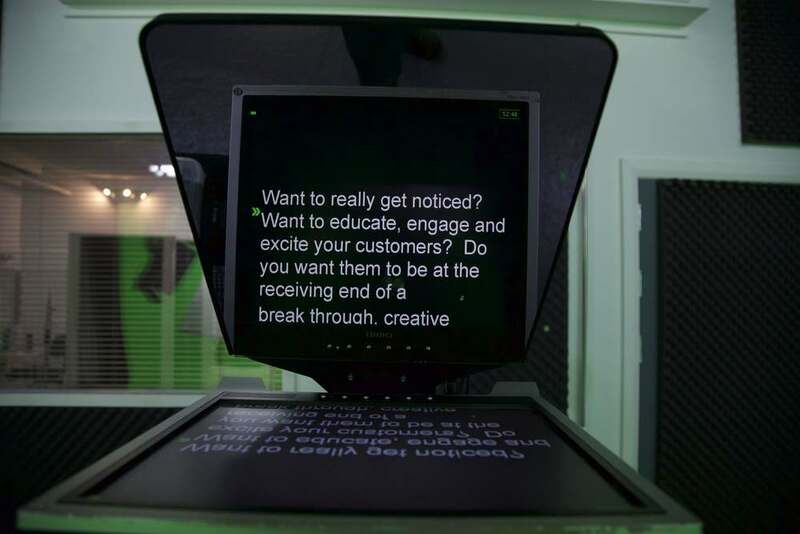 A large scrim and teleprompter are also available. Call us if you have any questions about the studio spec. Only need a studio for 2 hours? No worries, we have you covered. Our studio is cost effective especially using our sliding scale rates. Need a camera crew too? Get half price studio rates when you use us to shoot your video! Corpcast Productions are a full production house and can assist you from concept and video design through to shooting and post production. And we don't just shoot green screen either. Whatever your video requirements we are glad to be of service.